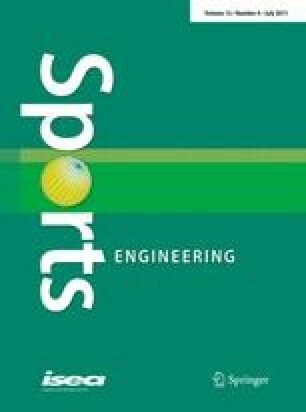 The aim of this study was to describe and validate a new cycling ergometer with original characteristics that allow the measurement of biomechanical variables with position and crank inertial load used by the cyclist in field condition. The braking pedalling force, that permitted the simulation of the resistance to the cyclist in the field, is performed with a brushless electric motor. The validity and the reproducibility of the power output measurements were compared with the widely accepted SRM powermeter. The results indicate that taking into account a systematic error, the measurements are valid compared with the SRM, and the reproducibility of the power output measurements is similar to the SRM. In conclusion, this ergometer is the only one that allows at the same time for (1) valid and reproducible power output measurements at submaximal intensity, (2) utilisation of the personal bicycle of the cyclist, and (3) simulation of the inertial characteristics of the road cycling. The authors thank Claude Imberdis (Institut Universitaire de Technologie de Chartres, France), Jean Noel Pernin, Camille Garcin, and Betty Baudinot (Laboratoire FEMTO-ST, UMR CNRS 6174, Besançon, France), the French Cycling Federation (FFC) and Vincent Villerius (coach of the Cofidis professional team).